-Soak nuts for at least 3 hours. Rinse and Drain. 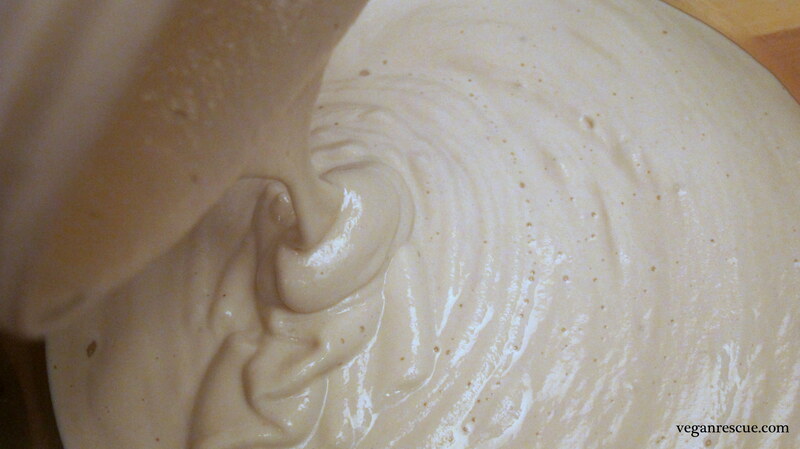 -Blend nuts, water and 2 Tbsp Agave in high-speed blender for about 3 minutes until creamy and smooth. 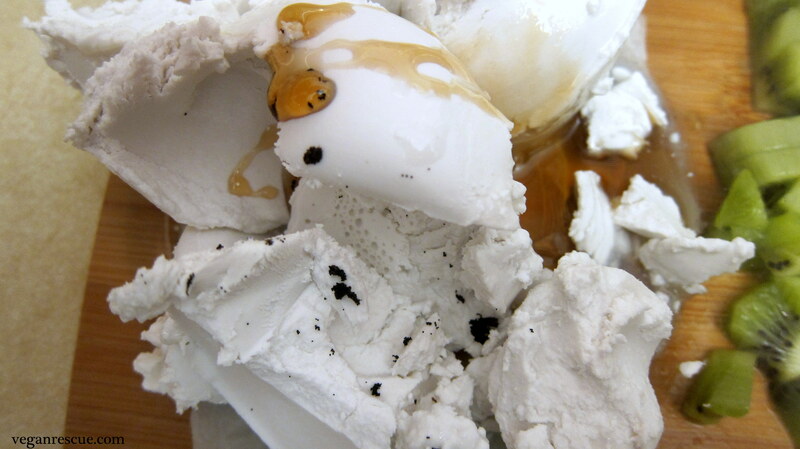 Remove then place in bowl, cover and refrigerate overnight. 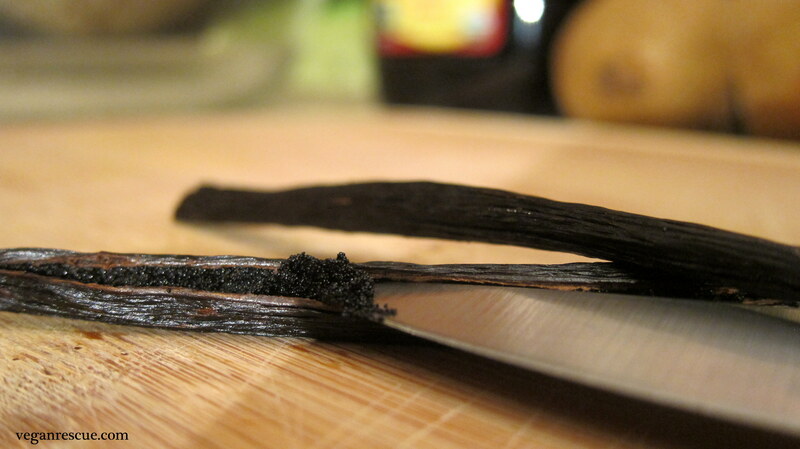 -Split the Vanilla bean open and scrap the pod to remove the seeds. [At this point to keep the recipe raw – just add the vanilla bean to the cashew ‘yogurt’] or add coconut whipped cream to top. 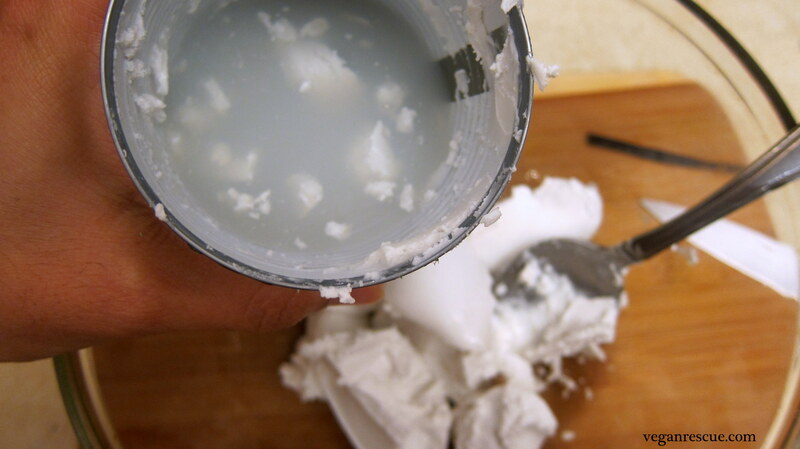 -Refrigerate can of Coconut milk overnight. 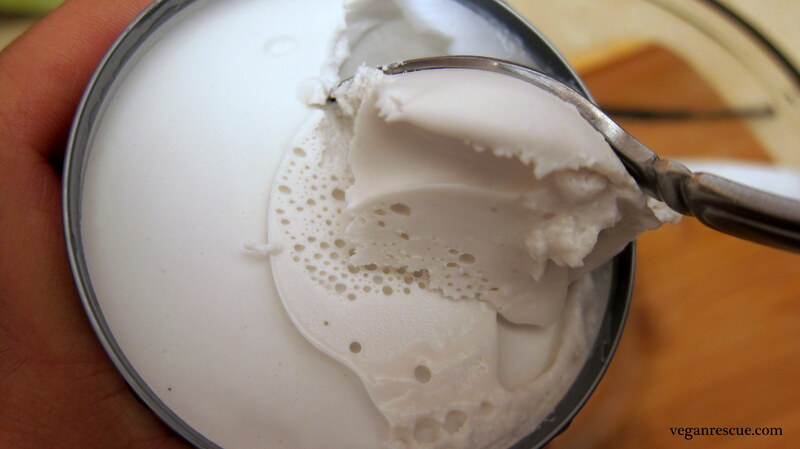 Remove from refrigerator – open can: cream should have separated from coconut water. -Remove the cream and reserve the water/liquid for smoothie or other preparation. 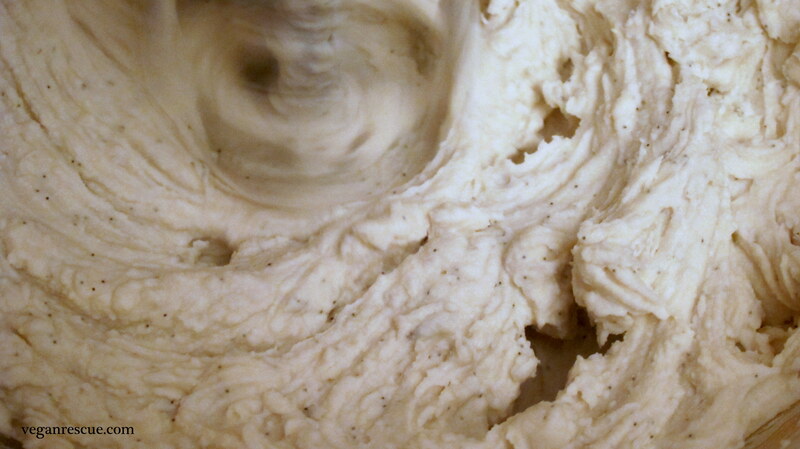 -Add the cream to a bowl with vanilla beans and 1 Tbsp Agave then whip with hand mixer. 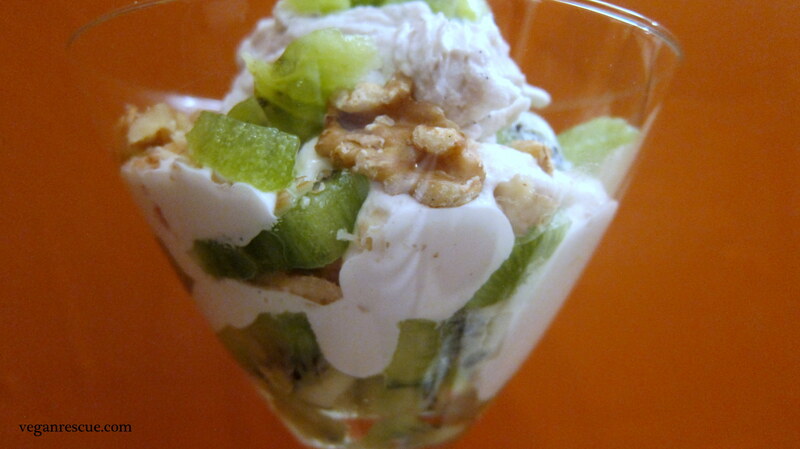 -Begin to layer parfait: Kiwi, Cashew/Macadamia cream, Walnuts-optional. 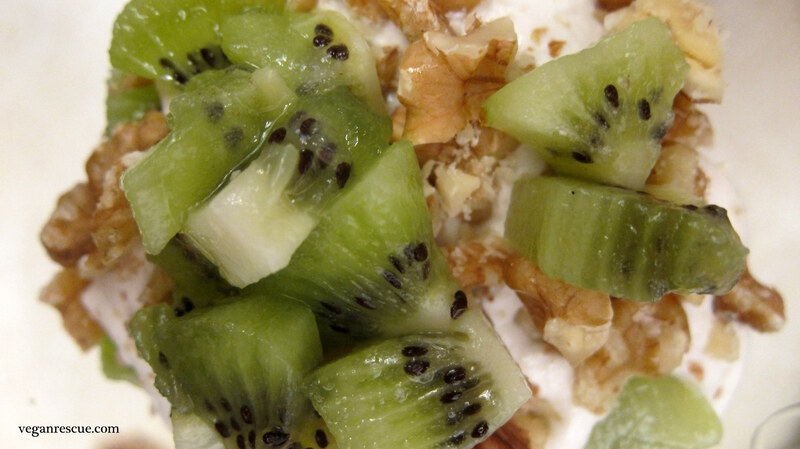 (I use 1 to 2 kiwis per parfait. You can top with coconut cream, if using.